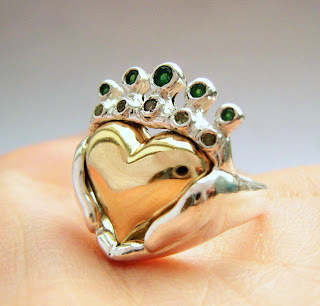 I've been working so hard on my new Claddagh stacking ring set with a HUGE glorious heart stone! I am so pleased. I worked tirelessly on it to get the heart stone set properly. I am so pleased with the outcome. Here you can see the ring in progress as I carved it and used a wax pen to melt wax around the stone. 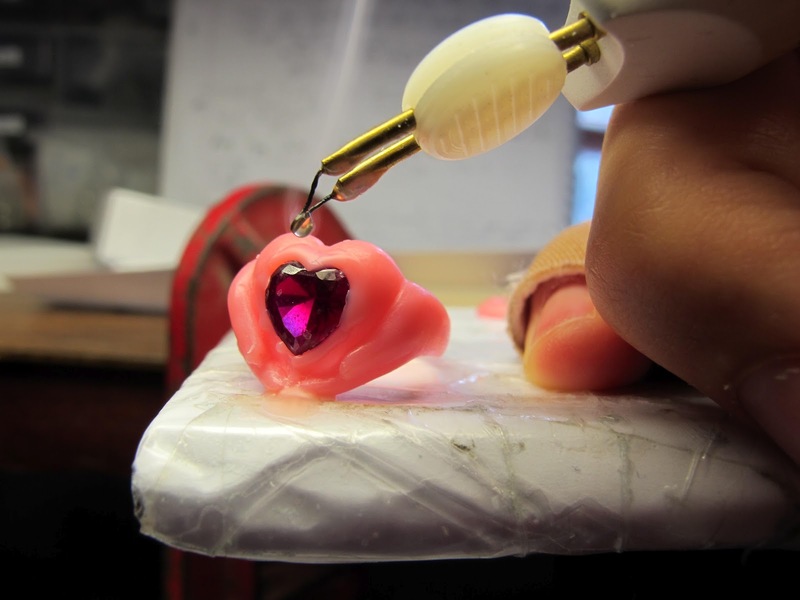 Once the wax is ready I cast my pieces in solid sterling silver, gold or platinum! 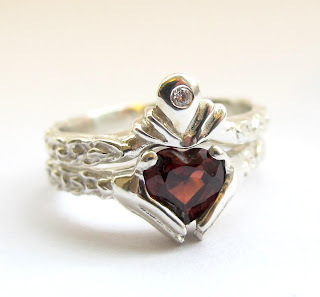 I just love this design as a wedding and engagement ring set. 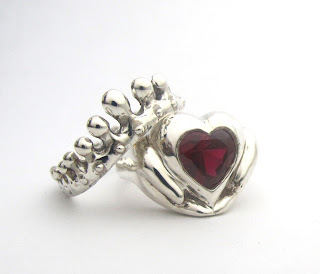 A gorgeous ruby red heart stone is hand set in solid sterling silver. 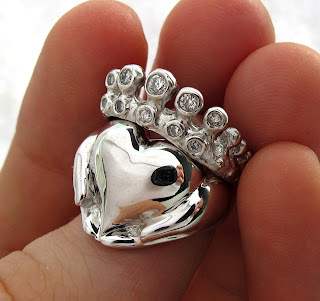 The wedding ring is a crown that sits atop your Heart and hands engagement ring. Claddagh rings are traditional Irish Promise rings, but this hand carved ring set is far from conventional. 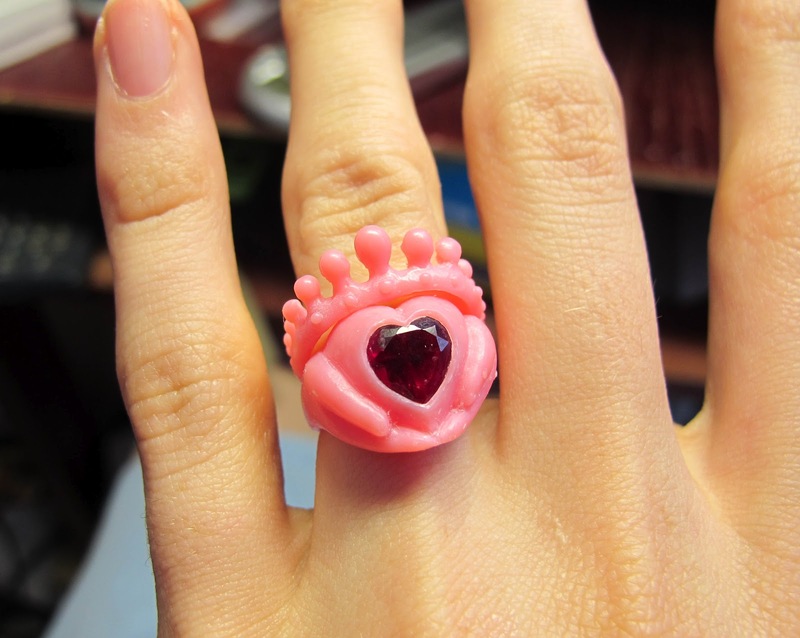 You can choose the colour of your heart stone to make your own one of a kind ring set. 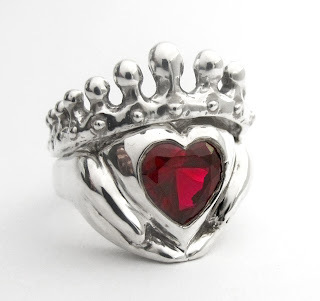 You can even get stones set in the crown! Message for a quote. - On the right hand, the heart pointed away, means you are free as the wind. - On the right hand, the heart pointed toward you, then you are spoken for. Check out my other Claddaghs in my extensive Celtic jewellery line available in my Rickson Jewellery Shop. Private Jeweler singapore All Women love to wear jewels that make them feel special, and diamond jewelries are always the first choice for them because the charm of diamond jewelries attract them.